Is The iPad Getting A Redesigned Keyboard on iOS 4.2? Here's a cool thing we found out in iOS 4.2 for iPad: if you disable the simple passcode in the Settings app and choose to create an alphanumeric passcode, the iPad has a redesigned keyboard in the lockscreen. It's...black. It looks beautiful, for sure: letters really pop in against the dark background, and they go subtle-blue when you press them. It's also very elegant. Now, would it make sense for Apple to keep two different keyboards in iOS? One for the lockscreen, one for anything else? 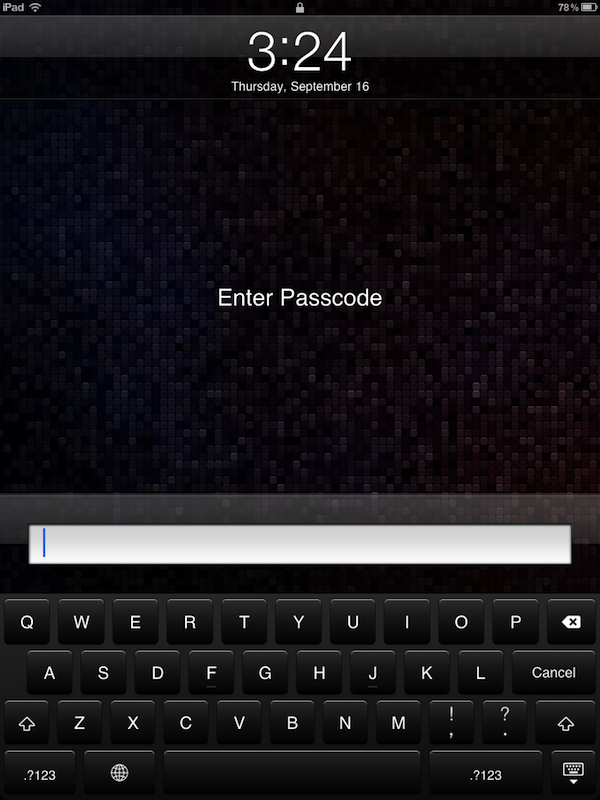 Maybe: after all, the numeric keypad was black and has always been exclusive to the lockscreen. Still, we want to speculate here. I'd personally like this black keyboard in iOS, but I understand that it would be "too much" for some users. It's particular, but looks great. I don't know, I like it but I have my doubts. What do you think? Update: It turns out the black keyboard was there in 3.2 - but you had to enable it with a configuration profile. Apple enabled it by default in 4.2, so it'll be interesting to see whether they'll allow developers to request the black keyboard or not. 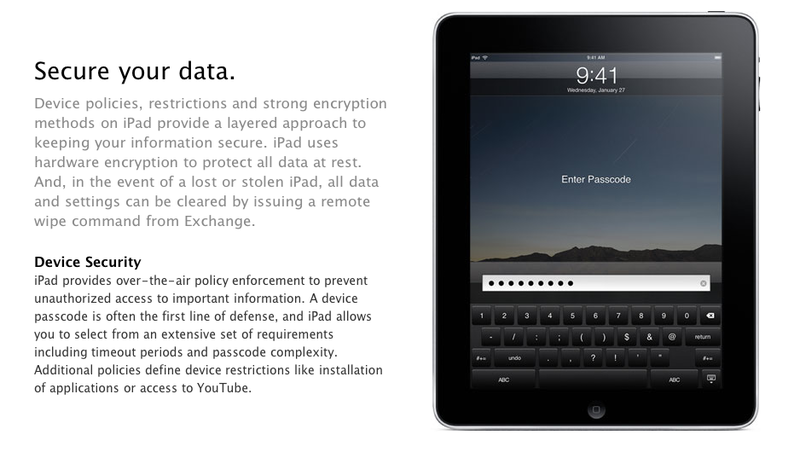 Update #2: Also found on Apple's website in the iPad in Business integration page. The mystery around this black keyboard.